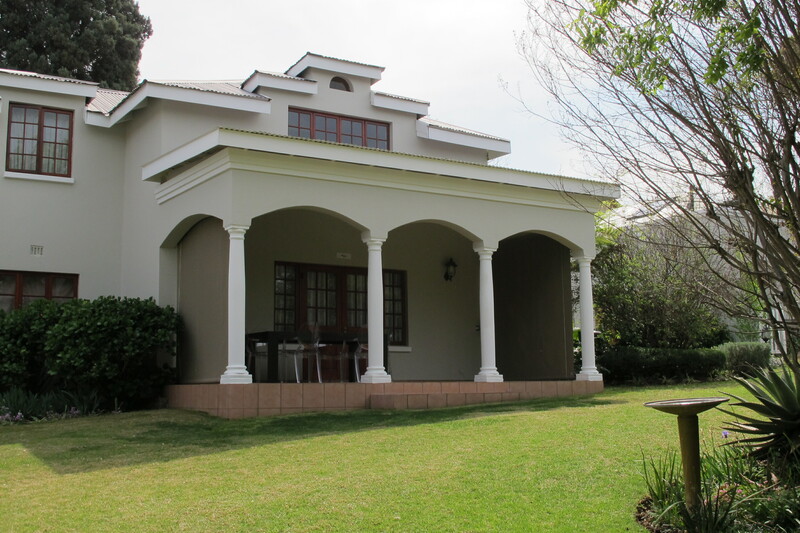 Duplex two bedroom unit with two bathrooms in Craighall Park. The unit has an open plan living and kitchen area with a double volume ceiling opening out onto a covered verandah that overlooks the communal garden. The one bedroom and en suite bathroom is downstairs while the other bedroom and en suite bathroom is upstairs.